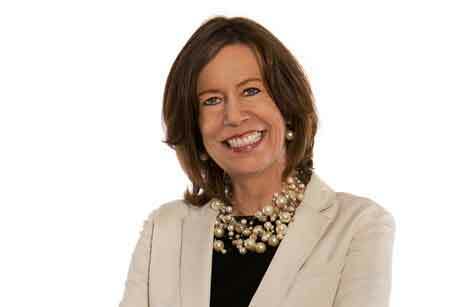 Porter Novelli has named Karen van Bergen global CEO replacing Gary Stockman who departed the agency in July. Van Bergen joined Porter Novelli in January this year from Fleishman-Hillard to head its New York office. She will take up the role in January. At F-H she lead OneVoice, Omnicom’s integrated marketing offering led by F-H and Ketchum and serving Philips globally. Previously she was regional director for the Netherlands and Central and Eastern Europe at the agency and worked on pitches including Unilever and NBC Universal. She has also held a number of roles at McDonalds, including chief of staff, vice president of corporate affairs for McDonald’s Europe and director of marketing, comms and government relations for central Europe and central Asia. Dale Adams, Omnicom’s Diversified Agency Services division president and CEO, said: ‘Karen brings a unique global perspective to the role of CEO, having led numerous cross-border client assignments and managed multi-agency teams across the Omnicom network. ‘Her innovative leadership style is one that prizes collaboration above all else, empowering teams to draw from the best possible resources – regardless of level or location – to deliver creative, business-building programs for clients. Global director of strategy and acting CEO Michael Ramah will remain part of Porter Novelli’s executive committee. Van Bergen said of her appointment: 'I am truly privileged to have been asked to lead Porter Novelli. The talented communications executives on our team are dedicated to collaboration and high performance in order to drive real and meaningful change for our clients.